When will Sam and Nike Adeyemi be in my area? Sam and Nike Adeyemi travel throughout the year. Please check the events page to see where they will be in the upcoming months. I have a question for Sam and Nike Adeyemi. Can I email them? Yes, send all emails to info info@samadeyemi.net and you can also write to them, they receive many letters every day, and we would encourage you to put any thoughts you have to them through the postal system. You may change your address by signing in to your Samadeyemi.net account and update your primary address in your account information. To stop duplicate mailings, please contact our ministry support team at support@samadeyemi.net. The messages aired on our television broadcasts are available at all times. You may order the message by ordering from our online store. Yes, and you can log to watch live broadcast from Daystar Christian centre on Wednesdays and Sundays. Our broadcast is available worldwide. We have a listing available on the broadcast section of our site where you will be able to find where we broadcast in your area. I tried to subscribe to your podcast. However, it directs me to the iTunes store, and I do not use iTunes. Is there anyway to access the .xml file for your podcast without going through iTunes? We do make our XML podcast feeds available. Once logged in to your Samadeyemi.net account you can visit our podcast page to receive the XML RSS feeds. The audio and video streams usually take a few minutes to completely finish loading or “buffer.” If the video never seems to play completely or smoothly, please check your internet connection’s speed. Though our video streams will work on slower connections given the time, a high-speed Internet connection is recommended. Please email info@samadeyemi.net with as much information as you can about the problem you are experiencing, including your operating system and web browser version. Download error, maximum limit reached? Our digital download do have a 4 limit download from the link provided to you. Please use your PC to download all MP3s. Do not use your mobile devices because these files are large. you are having problem with your download please contact info@samadeyemi.net for quick response. our support team will respond within 24-72hrs. Volunteers for our events are pulled from partner churches in the area we are coming to. If you would like to know what churches are connected with us through partnership in your area. I would like to know about Pastor Sam’s next event. Visit our event page on samadeyemi.net. We do not have childcare available at our events at this time. UK Orders – will reach you in 1-3 working days. US Orders – 1 – 5 working days. Rest of the world – 1-14 working days or more depending on the postal system in that country. Can I send in a check instead of using a credit card? To order by check you can order any resources via mail. Simply list the items you would like to purchase and include as much description of the product as possible (i.e: hardback book of Parable of Dollars by Sam Adeyemi) and send it in along with a check including the shipping and handling. Sign in to your www.samadeyemi.net account and visit your account info section. You can look up order history and status there. Internet orders are usually processed the same business day depending on the time the order was placed. If the order has not yet been shipped, we can cancel the order. Please email info@samadeyemi.net. There could be a few reasons why the orders are not appearing. Usually, it is because the missing orders were made with either a different email address and password or your order was not placed online. You can also contact info@samadeyemi.net for a quick response from our team. Due to the array of resources we carry, we are unable to offer bulk discounts across the board. However, we do consider bulk discounts upon request. I just received my package, but it is either missing something or it isn’t what I ordered. Check the packing slip that came with your package to make sure the information is correct and that nothing is on backorder. If something is missing or a product came that wasn’t ordered, please contact us and we will look into the problem. We are more than happy to replace damaged or defective products. Please contact us. The call centre says the TV offer is now expired so what do I do? Sometimes our broadcasts are being repeated by the networks at their own discretion. Unfortunately, you will have to pay full price the products. I am based outside the USA and Europe where can I order products? You can order online via the website. Our shipping warehouse can deliver to you anywhere. 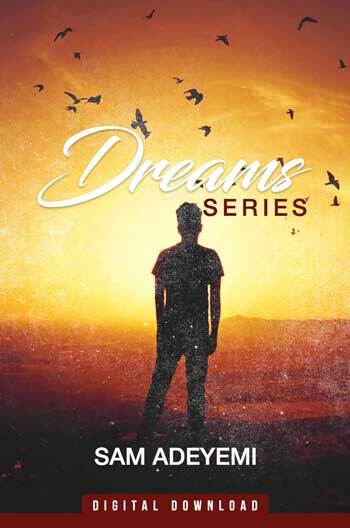 If you are based in Nigeria you can visit pneumapublishing.net for all resources. Please note some resources might only be available on samadeyemi.net. Donations to the ministry may be made online, or by mail. Only credit card donations can be taken online. Do you issue monthly receipts? Yes. Receipts are sent as orders are processed via email. Partnership with purpose makes this possible. Through your faithful and consistent support, you become an expression of God’s heart to people without hope. And when you partner with us as a Champion of Hope, you share in the blessings, the eternal rewards and the fulfillment of what God is doing throughout the earth. Miracles happen for others and for you because of your generosity, God’s favor and goodness become a part of your life too. To become an Excellent Leadership Partner or for more information, please visit our Give page on the website. Yes. Excellent Leadership Partners may set up their account to have automatic withdrawal from a checking account or credit card, or they may call or mail in their donation each month. The partner resources are currently only available in CD and MP3. Visit our online store for resources. I haven’t received a partner resource in a while. What do I do? If you have stopped receiving partner resources by mail, please contact our ministry support team representative. What is your policy concerning copying and distributing Sam Adeyemi Ministries materials? Many of Sam and Nike Adeyemi’s books are from various publishers. These publishers hold the duplication rights to the books and must be contacted for copy permission. Sam Adeyemi Ministries is happy to grant permission to place a link to our website from your website at our own discretion. Can I get Pastor Sam’s details? Unfortunately, we can’t give Pastor Sam’s private number to anyone. If you would like to contact Pastor Sam please send email to seniorpastor@daystarng.org or info@samadeyemi.net. I would like to invite Pastor Sam to my church event or speaking engagement. Please send all request to seniorpastor@daystarng.org. 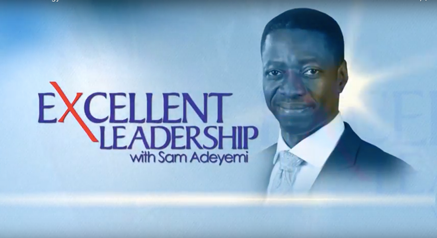 Please send your request to info@samadeyemi.net and we will respond promptly. I want Pastor Sam to be my mentor. Due to high demand and request Pastor Sam recommends that you read and study he’s teaching resources. This is a way to learn from a mentor also. You can get all resources at samadeyemi.net / pneumapublishing.net.